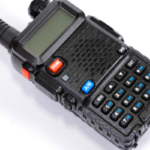 What Is The General Mobile Radio Service (GMRS)? 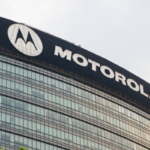 Highland Wireless: Providing In-Building Distributed Antenna Systems (DAS) > Blog > Blog > What Is The General Mobile Radio Service (GMRS)? The General Mobile Radio Service (GMRS) is a land-mobile FM UHF radio service used for two-way communication over short distances. If you live in the United States you need a license to operate GMRS equipment, in Canada this same equipment can be used without a license. The GMRS uses channels around 462 MHz and 467 MHz. There are other services that are similar to the GMRS including Family Radio Service, Multi-Use Radio Service, and Citizens Band Radio Service. GMRS communication is available to individuals needing a way to communicate across short distances. One licensed individual is in charge of the radio use but any family members are legally allowed to operate the radio under the direction of the licensed individual. Businesses are not typically granted access to use GMRS because the goal is to keep the lines open for personal users. In the past businesses were given licenses to operate GMRS equipment and some are still given approval today. GMRS radios are typically portable hand-held devices similar to Family Radio Service (FRS) radios. There are both mobile and land-based stations available for GMRS systems. It is legal for public service and commercial land mobile bands to operate GMRS systems, as long they are GMRS type-approved. 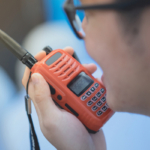 These commercial UHF radios are considered much higher quality than the walkie-talkies you can purchase at your local store, and offer advanced capabilities and communication reliability. In 2010, the FCC made a proposal to open up GMRS for use without an individual license but as of now this is still just a proposal. You currently need a license granted through the FCC to operate GMRS systems. A license to operate is valid for a five-year period. You may apply to renew your license within 90 days of the current license expiration date, you may also apply up to the very last date your current license is still good. Once your license officially expires it is mandatory by law that you apply for a new license or stop use of GMRS systems. If your business was given a license to operate GMRS prior to July 31, 1987 you are eligible for renewal, even though most GMRS users are regulated to individuals. It is illegal for a GMRS station to include any modifications that increase power output. You are eligible to apply for a GMRS system license as long as you are 18-years or older and you do not represent a foreign government. If you are licensed any of your family members (regardless of age) are legally allowed to operate the GMRS stations and units. The fee for a license application is currently $85; this fee is subject to change annually. The range associated with GMRS is similar to other UHF radio services and generally only extends to line-of-sight distance. The height of the radio antenna determines the distance of range, as does location, terrain and weather. On average the range between two GMRS hand-held radios is between one or two miles. Mobile units with higher antennas could foreseeably communicate across 5 miles. If the GMRS repeater includes a tall antenna this will extend communication from the station considerably, reaching as far as 20-miles. The presence of hills, buildings and other obstructions may greatly reduce this range. There are 8 channels considered exclusive to the GMRS as well as 7 “interstitial” channels that are shared with Family Radio Service. With a license you may transmit up to 50 watts on GMRS frequencies based upon the type of station you have. More commonly 1 to 5 watts is projected. 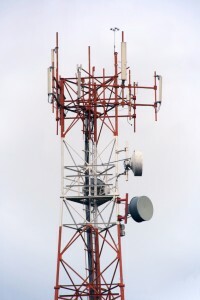 Units may have detachable or external antennas. 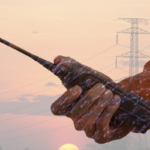 Highland Wireless is Florida’s go-to provider for the latest two-way radios and service. Contact us today to learn how you can set up a two-way radio system for one low monthly cost.